This detached, single-storey, stone barn conversion retains original beams throughout and offers cosy holiday accommodation for a couple. Enjoy walks in the nearby Royal Forests or catch the bus and visit the magnificent Château of Versailles. 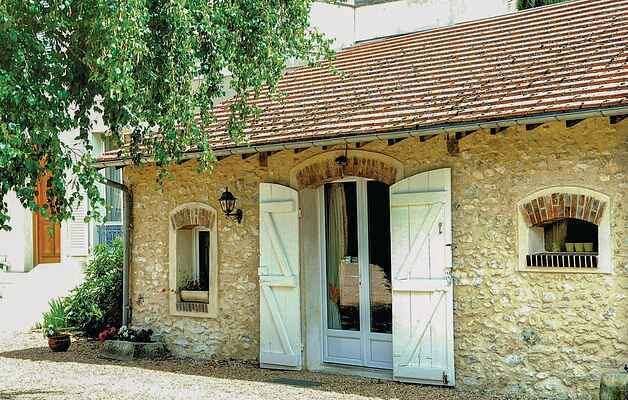 The area is dotted with châteaux and parks waiting to be explored, as well as towns rich in heritage and history. There is an open plan living are with patio doors opening onto the large garden which is shared with the owners. Horse owners can bring their horses for some excellent riding! Shop 2km, café/bar and restaurant 3km.